This 9-inch HTC tablet loaded with pure Android will hit T-Mobile "on a date to be determined" instead of early December as they previously announced. T-Mobile appears to be unlucky this year when it comes to launching Nexus devices. The Nexus 6 launch had to be delayed an entire week due to a failed shipment delivery by Motorola. Even after the Nexus 6 finally arrived in stores, there were only limited supplies of the 64 GB model available for T-Mobile customers. Now it seems that Google Nexus 9 could end up facing similar problems. According to an internal T-Mobile message quoted by TmoNews, there is no doubt about the delay of the Nexus 9 tablet. Unfortunately, the new launch date still has to be confirmed. The same message says "T-Mobile will launch the Google Nexus 9 on a date to be determined, which will be available on the web or through Ship-to (Direct Fulfillment) in HSO." 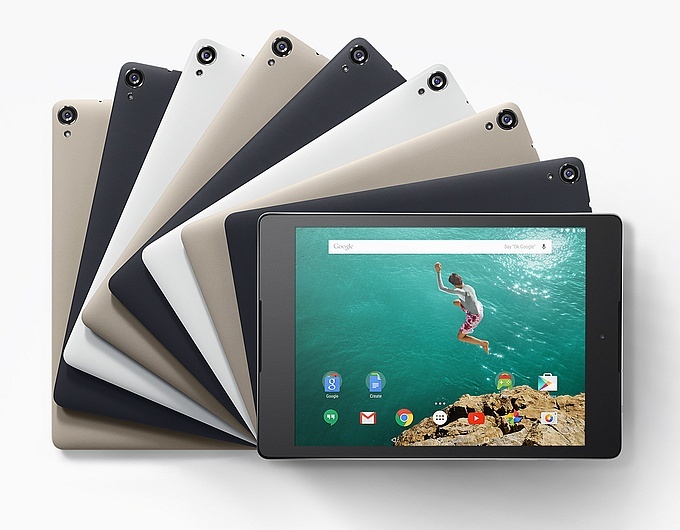 The Google Nexus 9 slate is made by HTC and uses the NVIDIA Tegra K1 SoC, next to 2 GB of memory and 16 GB or 32 GB of internal storage. Its 8.9-inch IPS touchscreen has Corning Gorilla Glass 3 protection and a density of 281 ppi. Since T-Mobile has no launch date for now, it is possible to see the Nexus 9 showing up in their stores before Christmas after all.